Regal Robot founder, Tom Spina, featured on the Star Wars Show! The June 21st episode of The Star Wars Show featured Tom as a guest for a great interview with the show’s cohost, Andi Gutierrez. The pair discussed our Tom’s background and experience restoring original film props, including work for the Lucasfilm Archives, as well as the creation of the SWS 1013 Projectile Launcher for the Star Wars Show Live at Star Wars Celebration in 2017. They also talked about Regal Robot and our new venture into official Star Wars™ furniture, art and decor. Our creations and products were featured on the show and Tom brought examples of the Mandalorian Skull Wall Decor sculpture and a Mandalorian Skull Mini Sculpture for Andi and the fans at home to check out! You can find the video below, cued to Tom’s segment on the show. It’s a fun chat and we always love the opportunity to see our friends at the Star Wars Show and the whole Lucasfilm online team! 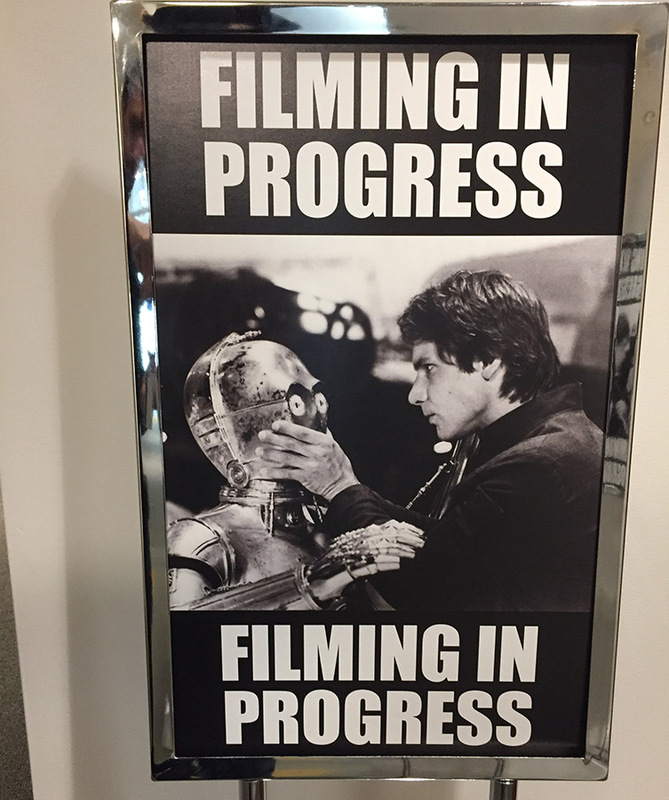 (and getting to visit the Lucasfilm and ILM offices is always a treat too!). 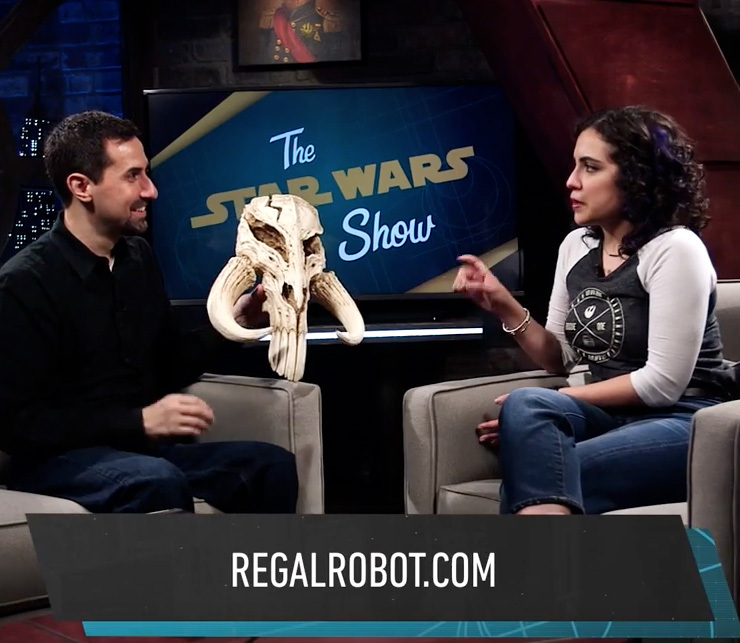 Tom joins Andi Gutierrez on The Star Wars Show to talk about Regal Robot and our new products! 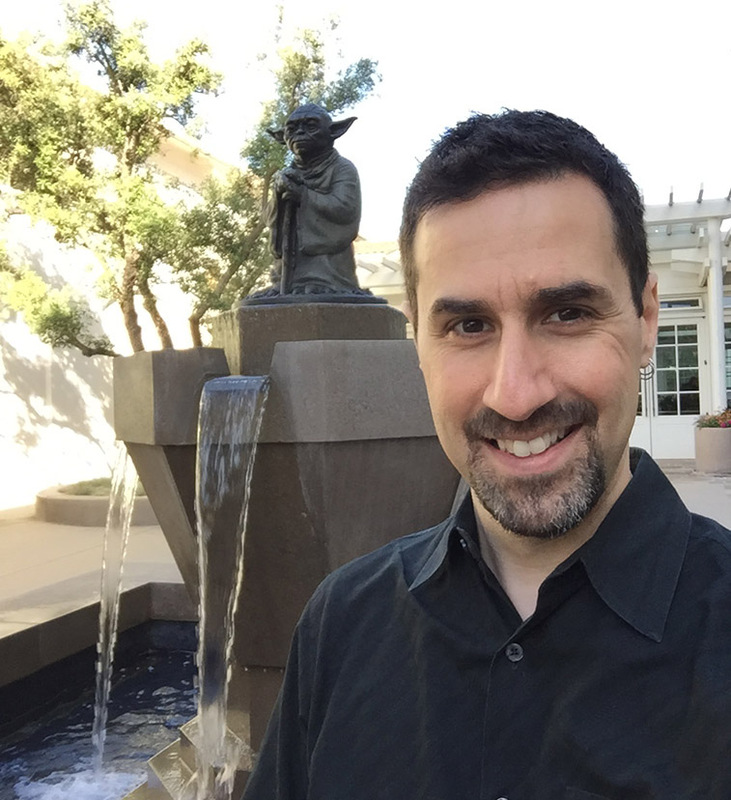 Tom stops by the famed Yoda fountain at the Lucasfilm offices. Fun signs at the Star Wars Show warn droids to keep noise down during filming. 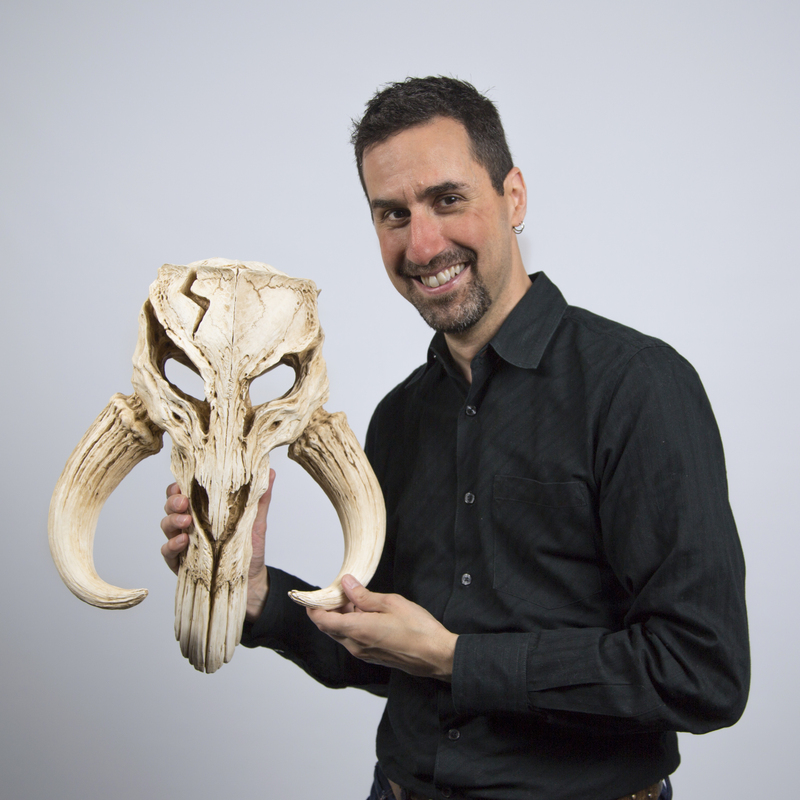 Tom poses with our Mandalorian Skull Wall Decor at The Star Wars Show studio.